Everyone has a preference when it comes to brunch – savory or sweet. 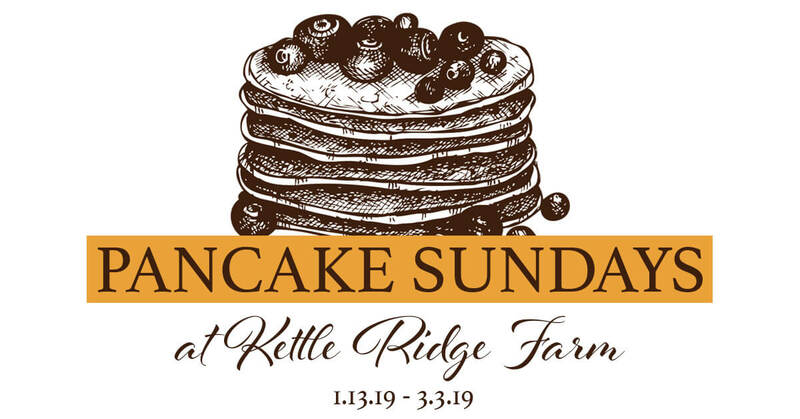 Before you head to Victor for a Pancake Sunday at Kettle Ridge Farm, make certain that everyone in your party is ready for a sweet extravaganza. These weekly tree-to-table breakfast events were built to showcase the farm’s magnificent maple syrup, freshly sourced directly from the property where you’ll be indulging. Every Sunday, January 13th through March 3rd, the 70-acre farm will be serving their signature hot cakes, maple syrup, and sausage from the pancake truck from 9 am to 1 pm. Meals are affordable, and fresh fruit toppings are available for no extra charge. Visitors are invited to take a seat in the barn, enjoy samples in the tasting room, and browse local products. You might even catch a campfire. Instead of heading to your customary brunch spot, start a new winter tradition down on the farm!